The ol “Clipping of the Shirt Tail”. Oh, how I remember that day! What a feeling! I’m from the UK and as far as I know we don’t have this ritual. Can some please explain to me what this is all about? 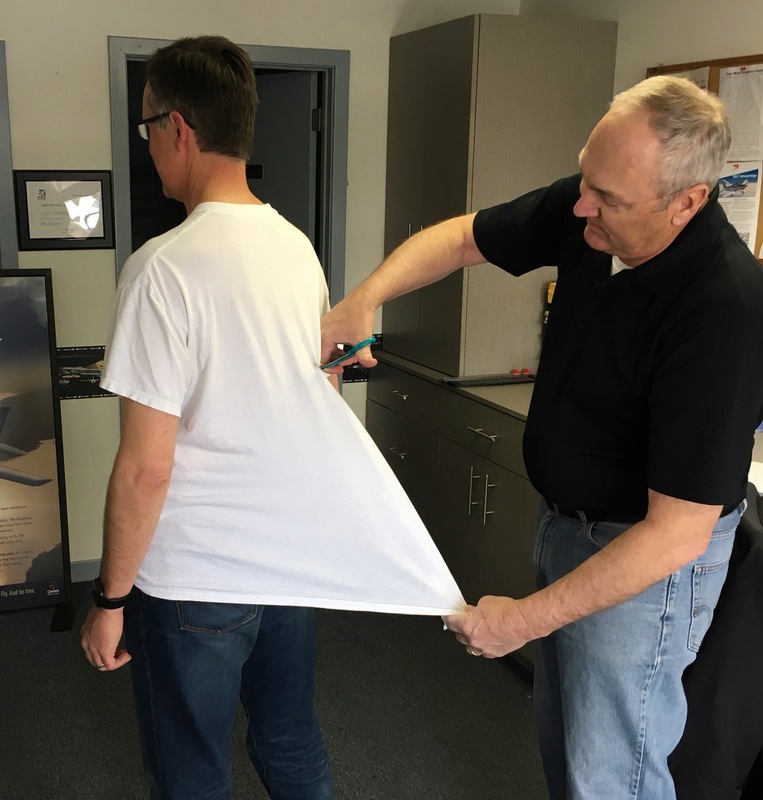 In the old biplane days the instructor would sit behind the student and tug their shirt tail left side or right side to give instructions (no intercoms). So it’s a metaphor for cutting the cord to your instructor. Thanks for that. Every day’s a school day. A day you will never forget… Congrats! congratulations and well done old bean! Thanks everyone. I’ve been smiling all day. Congrats! How did it go? I remember like it was yesterday–my instructor got out of the plane and asked me to do three trips around the pattern. I greased my first landing and then on my second, I got nervous and bounced the landing a bit. I then settled my nerves and nailed the 3rd landing. What an exciting experience it is this thing called flying. It went fine. On the lap prior to the solo I had to go around (someone taxied onto the runway as I was turning onto final), and then during the go around we lost the radio stack. So I think he was pretty sure I was ready. All three landings were fine. First was the worst of the three, more so from getting used to the flare with the lack of ballast in the right seat. The patterns and landings improved from there. It was a ton of fun. Congrats!! Its an awesome feeling that I remember very well. I definitely remember that day like it was yesterday. Certainly a blast to soar through the air without an instructor. Congratulations – must be an amazing feeling. Congratulations. When I was starting my first solo circuit (pattern) and lifting off, I remember thinking, I’ve got to land this; no instructor to grab the yoke or suggest tweaks to your landing (a scary thought at the time). But when you do touch down there is no feeling like it. You will remember it for the rest of your life. Well done BFG. Hope your dreams are fulfilled. Congratulations!!!. I remember my Solo. It was a very windy bumpy day. We had done 4 or 5 circuits and on the one landing the instructor looked and me and said pull over on the ramp. He then got out and said do two circuits and I will meet you in the Office. 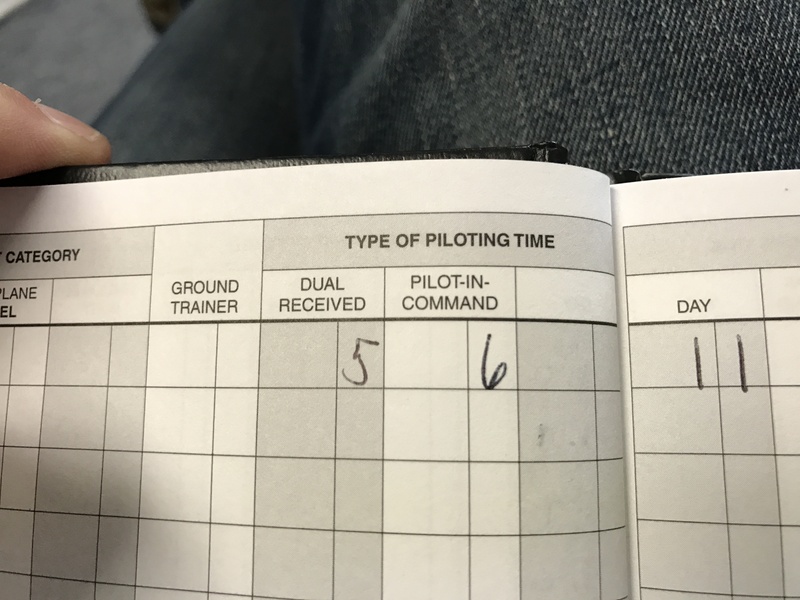 I did the two circuits and had good landings considering the conditions and pulled up to the Office. They did not cut my shirt but the staff came out to congratulated me on a fine job. Not bad for only 7 hours of flight time. I think nowadays you need more time in before they let you Solo. Congratulations…the moment the cut my shirt, reality sunk in! What a great feeling of an elite accomplishment. My first land was almost a disaster due to a flock of seagulls….